What’s the difference between fueling your body and just eating? What’s the 2& 2 rule of thumb? Why does your body need logs of carbs as well as kindling? 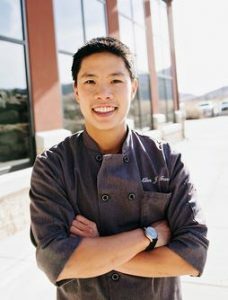 These questions were answered for U14 Park City Ski team members on April 15th when they assembled at the Center of Excellence (COE) to hear Chef Allen Tran talk about sports nutrition for elite athletes. As well as being USSA’s High Performance Chef, Allen is a dietitian and trained Wellness Coach who has a passion for real food and a knack for making it simple for busy, young athletes. Chef Allen coaches the likes of Ted Ligety and Mikaela Shiffrin to think about fueling their bodies with proper nutrition, rather than eating food to get full. He explained to the teens how protein, carbohydrates and fats are essential to building muscle, and creating and storing energy. However, some foods provide these elements at a higher quality level for bodies than others: ham is a better choice than bacon for a breakfast sandwich; fruit and whole grains offer carbs that stay in the body longer than a candy bar; olive oil and nuts provide good fats bodies need. The key to staying healthy when you’re around lots of people who may be sick: Allen says eat vegetables to build immunity. 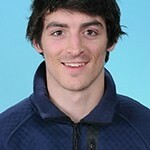 Another challenge that emerging world class athletes face is eating on a budget. That’s why Allen teaches them about 2&2 meals: things they can make in two minutes that cost $2. A favorite is natural peanut butter on whole wheat bread with bananas on top. Simple, easy, cheap. Along with nutrition talk, the U14s were guided through the COE facility to see the high tech training equipment used by the athletes, the state of the art medical testing and rehab facilities and the gym/aerial workout area. 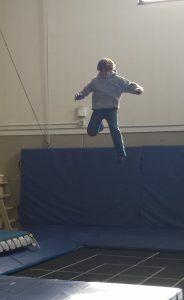 A highlight was jumping into the foam pit and soaring on a rare trampoline. The tour was arranged by EATS Park City – a non-profit organization working to educate kids on healthy eating habits.